Catholic school students across the Archdiocese of Louisville have returned to the classrooms and to some big and small changes. 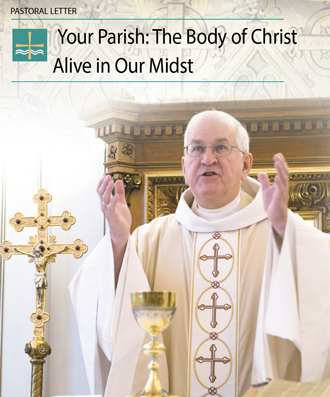 All Catholic elementary schools in the archdiocese are adopting new religion curriculum based on St. John Paul II’s Theology of the Body. Several schools have significantly expanded student access to technology, such as robots and iPads. Others have adopted new learning programs. Students at St. Leonard School, for example, may find that their classes are more tailored to their individual needs through a new “personalized learning” program expanded this school year. The school-wide program for students in kindergarten through eighth-grade aims to help students “capitalize” on their skills and build new ones, said Mary Parola, St. Leonard’s principal. The goal, she said, is for students to “take ownership of their learning” by working with their teachers to set goals for themselves. Students in every grade will take math and language arts classes at the same time. This will allow students across grade levels to work in groups according to their skill level. The technology component of the new program will give students access to videos showing a math lesson, for example. In this way, the students can pause, rewind, take detailed notes and come up with questions about what they don’t understand, said the school’s principal. Leisa Schulz, superintendent of schools for the Archdiocese of Louisville said she is excited with the direction St. Leonard is going. “St. Leonard School is expanding its award-winning personalized learning model throughout the school. The model strives to engage students in their own learning and personalizes curriculum and instruction to meet students where they are and take them to the next level,” said Schulz. Holy Cross High School has also introduced a new program that will offer juniors and seniors a chance to work with local corporate partners. The school’s new “Corporate Internship Program” will include curriculum for all students at the school. Older students will have the opportunity to work one day a week as an intern in a corporate environment, according to a news release from the Archdiocese of Louisville. Sacred Heart Schools are also expanding learning programs. The Model School (SHMS), 3107 Lexington Road, has received certification as an International Baccalaureate Middle Years Programme school from the International Baccalaureate Organization based in Geneva, Switzerland. The certification makes SHMS the first Catholic and private school in Kentucky to achieve the distinction, according to a statement from the school. Sacred Heart Academy already began an International Baccalaureate program in 1997 and is currently a candidate for the middle years program. Developments in technology have led several schools to expand student access. DeSales High School has a new science, technology, engineering and math (STEM) center equipped with ten Z-Space computers which will allow students to build objects in 4D, according to a press release from the school. The STEM center will also house 50 Edison Bots, four programmable Bioloid 16-inch premium robots, green screen media room and a Vex Robotics competition design and programming center. St. Michael School’s fifth-grade students will go 1:1 with iPads this school year while sixth- through eighth-graders will each receive a Google Chromebook. The school has also transformed its library in order to provide more research space, which includes 10 iMacs, a magnetic wall and a lego table. Notre Dame Academy students in every grade will be using robots in the classroom. The school now has one robot for every two students. Notre Dame is also adding Google Expeditions to the curriculum which will give students virtual experiences, such as a field trip to the Vatican, according to a press release from the school. Some students will see changes on their campuses with recent renovations. St. Mary Academy, in Prospect, Ky., renovated its library to create a more “kid-friendly” environment conducive to group work, said Amy Nguyen, St. Mary’s curriculum coordinator. The renovated space features rolling tables that fold, soft seats and a technology lab with whiteboard tables on which students can write. The library also contains a maker space fit for building and coding. St. Albert the Great School,1395 Girard Drive, unveiled a new preschool classroom this school year. It allowed the school to enroll 72 children in the preschool class this year, up from 59 last year. This is the largest preschool class, said Janelle Richardson, St. Albert School’s director of development. Two years ago the preschool had only 32 students.